live at The Palladium, New York City, USA. This concert was also circulated on a promo disc (radio transcription vinyl album) at the time. A bootleg version called Shocker has also circulated. I think based on the quality of this recording it is from an off air FM recording. Source: King Biscuit Flower Hour recording (not currently available within Wolfgangs Vault). Sound Quality: Good stereo (FM source) mp3 @128kbps. Set: One hour of concert (some other songs probably edited out). This is the excellent Welsh singer-songwriterDuffy live in concert at The Quasimodo, Berlin, Germany, and broadcast back on the January 21st, 2008. Her 2008 debut album Rockferry entered the UK Album Chart at number one, and was the best selling album in the UK in 2008 and has sold over 5.5 million copies worldwide. In 2009 she won three BRIT Awards, British breakthrough, Best female solo and Best British album. She also won a Grammy Award in the category Best pop vocal album for Rockferry, and she was nominated for two other Grammy awards. 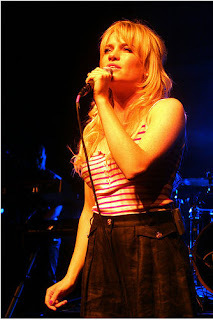 Duffy was the first Welsh female to achieve a number one pop single in twenty-five years with her second single 'Mercy' which also happens to be the most played song on radio and in restaurants and bars in the United Kingdom in 2008. Source: RBB Radio Eins (Berlin, Germany) FM Stereo. Sound Quality: Very good stereo mp3 @320kbps. Set: Full radio performance set.